The people of Eustis, on the east shore of Lake Eustis, took their time deciding on a name. 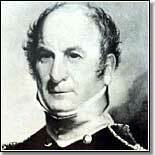 First it was Highlands, then Pendryville, and finally Lake Eustis, itself named about 1825 for General Abraham Eustis. General Eustis, prominent in the Seminole Wars, had skirmished with the Indians on the south shore, near present-day Tavares. In 1876, A.S. Pendry homesteaded and set out a citrus grove. In 1877 he opened the Ocklawaha Hotel. The post office in the lobby carried the sign Pendryville". Before railroads came in the 1880s, Eustis was a busy port for steamers plying Lakes Harris, Eustis, Dora, and Griffin. In 1883 the "Lake" was dropped and the town became just Eustis. The first homes were those of D.W. Herrick, A.D. Herrick, and Henry Key. In 1881 Clifford and Smith built the first general store in the building later occupied by A.D. and C.D. Miller. A big year was 1878 when the town's first telegraph line connected Eustis, Leesburg, and Sanford. The railroad arrived in 1880, the first train coming from Astor to Fort Mason, where passengers and freight made lake steamer connections to Leesburg, Helena, Yalaha, Bloomfield, Lane Park and Tavares. Bertie Clifford was the first baby born before Eustis was incorporated in 1883, and Edith Hutchins the first baby of the newly incorporated town. D.W. Herrick was the first mayor. Guilford David Clifford was a man with a big heart. Although his Eustis dream home was designed in 1894, the Big Freeze of 1894-1895 postponed its completion until 1911. Says Eustis historian Louise Carter, "Even though the freeze brought the town's economy to a standstill, Mr. Clifford kept his lakefront general store open and extended credit until people could recover." According to an 1887 business directory, the Clifford Store on Lake Eustis sold "groceries, hardware, building material, fertilizers, stoves, crockery, glassware, hay and grain. And the opera house, on the second floor, was a cultural center of Eustis and a wide swath of Central Florida. The eighteen-room house at the corner of Bay Street and Bates Avenue was worth waiting for: Today it houses the Eustis Historical Museum and Preservation Society, and takes visitors back to the gracious Lake County lifestyle of one hundred-odd years ago.